Arch-rivals India and Pakistan are set to resume cricket ties with a series in the United Arab Emirate (UAE) in December. 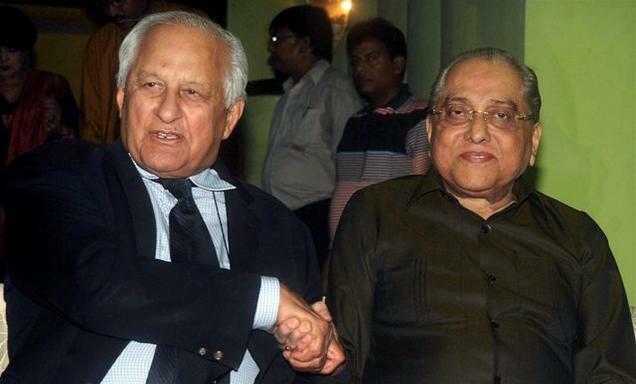 Pakistan Cricket Board’s (PCB) chief Shahryar Khan announced this news in the presence of Board of Cricket for Control in India’s (BCCI) chief Jagmohan Dalmiya on Sunday in Kolkata. The announcement of the series which involve three Tests, five ODIs and two T20s was the part of the signed MOU (Memorandum of Understanding) between the two boards in 2014. "We resume the India-Pak series in UAE. This is the re-beginning of the revival of Indo-Pak cricket. The series will start in December as per schedule and it will comprise three Tests, five ODIs and two T20s. The preparation is on in full swing. We have to overcome the final hurdle," Shahryar said. “This is part of an MoU signed between the two boards in 2014, and we are keen to abide by it,” said the PCB chief. Shahryar complimented Dalmiya for playing an active role to move forward with the stance over the ties and added saying that India-Pakistan rivalry is the biggest in the cricket world. “I am grateful to Dalmiya for hosting me here. My relationship with him goes back a long way. We had hosted the 2004 Indo-Pak series, and this series was made possible due to his efforts. “Let me tell you that the India-Pakistan series is more important than any other in world cricket. I think it is even more important than the Ashes,” said the PCB chief. Jagmohan Dalmiya was also seen confident and positive about the series and said that it’ll go ahead according to the plan. “We are very hopeful of reviving the series. We are going to take appropriate steps, and the two boards will be in regular touch. Only a few things need to be sorted out. We expect the support of the home ministry and Government without which we cannot go forward,” said Dalmiya. According to the MoU, India-Pakistan will play five series in the coming eight years. “As per the existing MoU, there will be five series between the two countries in eight years,” Shahryar said.